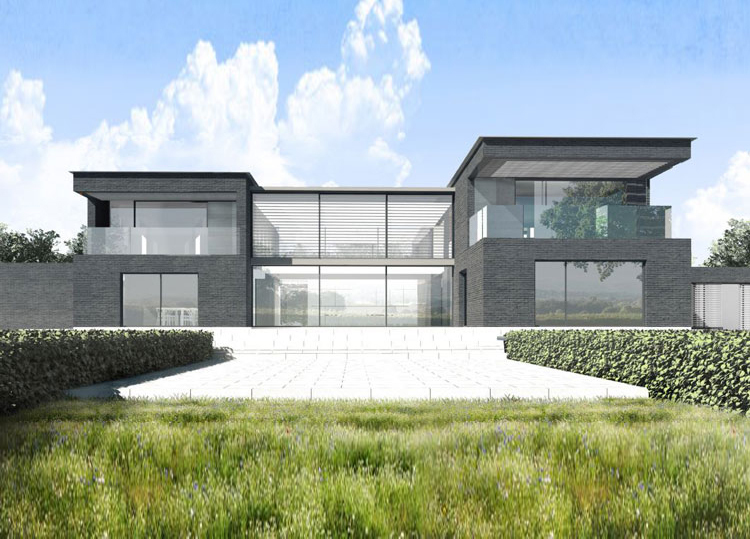 Our clients proposed to replace their existing traditionally styled home with a much larger contemporary new build. The house was positioned in the South Downs National Park, which is the newest member of the world’s International Dark Sky Reserve (IDSR). It is only the second IDSR in England and the 12th in the world. With two million people living within 5km of the National Park, the reserve, it is one of the most accessible in the world. The designation as a Dark Sky reserve means that the Local Planning Authority must ensure that new development is sensitive to ensure it does not impact the quality of the dark sky. Due to the nature of the contemporary design, the proposed new home was made up of large expanses of glazing to allow the family to enjoy undisturbed the surrounding countryside. Due to this, at pre-application, the planning authority held concerns over the impact this would cause in terms of light spill and the character of the national park. Atlas Planning Group organised a multi-disciplinary team to prepare detailed reports to support the full planning application. Along with ecologists to explore the site’s potential for bats, we instructed a specialist lighting design consultancy to analyse the light spill of the development and provide a mitigation strategy where necessary. Working with the architect and consultants, the scheme incorporated several strategies to avoid the impact of the glazing on the dark night skies. Atlas Planning Group also undertook a Landscape Impact Assessment to accompany our Planning Statement to demonstrate that the proposed development would have a negligible impact on the character and scenic beauty of the national park. The comprehensive nature of our planning application submission ensured that the application was approved without objection within the statutory 8 week determination period. The family can now build their dream home! Check out the full range of services available from Atlas Planning Group.